As the disaster at Fukushima plant continues to unfold, one nuclear expert is warning that "this is an accident that’s shockingly not stopping." 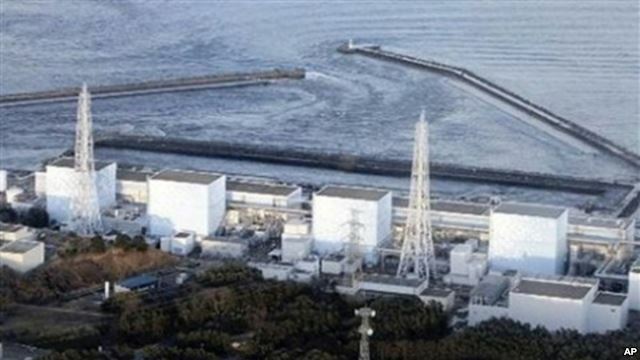 Fukushima continues to be an emergency without end – vast amounts of radioactivity, including strontium-90 in the groundwater, evidence of leaks into the sea, the prospect of contaminated seafood. Strontium-90, being a calcium analog, bioaccumulates in the food chain. It is likely to be a seaside nightmare for decades. So to give you an idea of the level of contamination, if somebody drank that water for a year, they would almost certainly get cancer. So it's very contaminated. So that's one problem. The other is the defenses to hold back this water from the sea seem to be overcome. So now the contaminated waters, 70,000, 80,000 gallons is flowing into the sea every day. Well, when it goes into the sea, of course, some of it will disperse and dilute. Some of it goes into the sediment and some of it is taken up by the life in the sea. And the unfortunate thing about strontium especially is that it bioaccumulates in algae, it bioaccumulates in fish. It targets the bone, because it's like calcium. And so this is a problem. We don't have measurements far out to sea. The Woods Hole Institute has done some surveys. And they were surprised by how much continuing radioactivity they found, but no clear explanation yet. But it's not just fish that will take in the radiation. Well, the strontium-90 and the cesium would both be perilous, and since the strontium-90 is more mobile and also more dangerous biologically, strontium behaves like calcium, so it goes to the bone. It also bioaccumulates in the base of the food chain and algae. Ultimately because it does bioaccumulate and there is quite a lot of strontium, you could have a large part of the food chain near Fukushima being contaminated. the outcomes could be worse than cancer because then you’re talking about a much more compromised child in the sense of having a compromised immune system – it makes you more vulnerable to all kinds of diseases. Just how TEPCO or other authorities will be able to deal with this "radioactivity that’s essentially forever" is uncertain, he continued. It’s very, very unclear to me how they are going to be able to get at this molten fuel, extract it from the bottoms of these highly damaged buildings and package it for safer or less dangerous storage or disposal. "This is an accident that’s shockingly not stopping," he warned. [W]hat we now know all too well at Fukushima is that the world's worst atomic catastrophe is very far from over. Watch Fukushima Reinforces Worst Fears for Japanese on PBS. See more from PBS NewsHour.